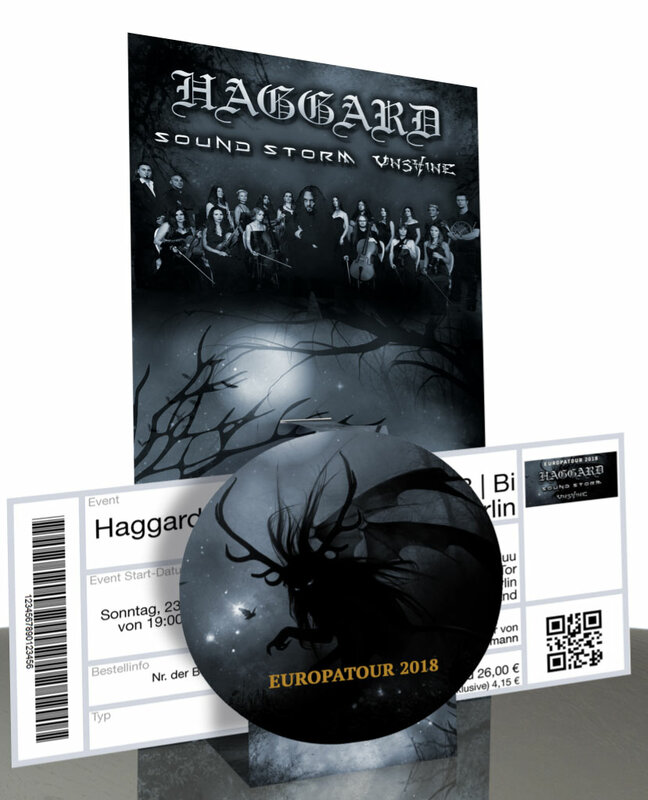 We are happy to announce that there are special tickets available for the German shows of the forthcoming Haggard Tour which carries the title „Bards Of Symphony And Metal“! Yeah! Special Guests are cinematic symphonic metalheads SOUND STORM from Italy and female fronted goth-folk metaleros UNSHINE from Finland. For the ones who don´t have any ticket for the shows yet, there is a „all inc“ package, which can be found here at www.haggard-shop.de. The second version is for all who already bought a ticket for the shows, it is only the hardticket – like an upgrade of your regular ticket. It is also available here at the shop.